The holiday named Labor Day is celebrated in many states across the world, but its date differs from country to country. 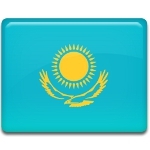 For example, Labor Day in Kazakhstan is celebrated on the last Sunday in September. The holiday was officially established in late 2013. When Kazakhstan was part of the Soviet Union, its citizens observed International Workers' Day (equivalent of Labor Day) on May 1. The holiday was marked with parades and other celebrations held throughout the country. In 1995, the government of Kazakhstan replaced International Workers' Day with Kazakhstan People's Unity Day. In 2013, President Nursultan Nazarbayev decided that his country needed a holiday dedicated to the labor movement and workers' achievements, so he designated the last Sunday in September as Labor Day. The first celebration of the new holiday took place on September 28, 2014. Nazarbayev also instituted a special medal that is awarded to veterans of labor on the occasion of the holiday. Labor Day in Kazakhstan is widely celebrated across the country with official speeches, award ceremonies, cultural events, etc. It is a non-working holiday for most citizens of Kazakhstan because it always falls on a weekend.